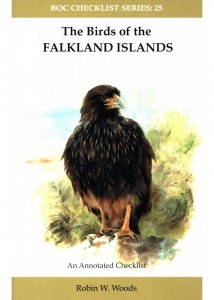 Meticulously researched and fully referenced, The Birds of the Falkland Islands represents the culmination of decades of fieldwork by the author and others. lt summarises our current knowledge of the status and distribution of birds in this fascinating archipelago. A full introduction covers all the expected biogeographical and ecological ground, with strong emphasis on the history of human–avian interactions and the development of wildlife conservation – both among the author's special interests. The systematic list covers all 205 species whose occurrence in the Falklands is well-evidenced, plus another 54 species that require further confirmation. Seven appendices and 32 pages of colour photographs complete the work. This definitive account of Falklands birds will be an essential reference for all those with an interest in the amazing wildlife of the South Atlantic. 288 pages, 32 plates with 60 colour photos and colour maps.